This guide will provide you with an overview of the 3rd (Prince of Wales’s) Dragoon Guards’ service during the First World War. In addition, it will explain what recorded are available if you’re researching a soldier who served in the Regiment. The 3rd (Prince of Wales’s) Dragoon Guards was stationed at Cairo, Egypt when Britain declared war on Germany on 4 August 1914. The Regiment had served in Egypt since September 1912. The 3rd Dragoon Guards returned to Britain in October and landed at Le Havre, France on 1 November 1914. The Regiment served on the Western Front for the duration of the war as part of the 6th Cavalry Brigade, 3rd Cavalry Division. The 3rd (Prince of Wales’s) Dragoon Guards returned to Britain in March 1919 and was stationed at Tidworth, Wiltshire. The Commonwealth War Graves Commission recorded that the Regiment suffered 321 dead from all causes between August 1914 and November 1918. Start your research by looking at my generic guides to researching soldiers who served in the British Army during the First World War. The most important articles to start with are those looking at service and medal records. Keep open my page on British Army abbreviations and acronyms as you will come across a lot in your search. Also, you’ll need to download the war diary I have discussed below as this contains a lot of information you won’t find elsewhere. Officers: Try to find a service record either at the National Archives (I offer a copying service for these records) or if the officer served past April 1922 at the Ministry of Defence: Ordering a Service Record from the MOD. However, not all have survived. The war diary of the 3rd Dragoon Guards mentions officers throughout and there is a nominal roll of officers and men still serving with the regiment on 31 October 1916 who landed in France with the Regiment in November1914. Also, have a look at my articles on the London Gazette and Hart’s Army List which will help you to research promotion dates. If you would like to find a photograph, The Sphere, Tatler and Illustrated London News are good newspapers to search: Researching Soldiers Using Newspapers. 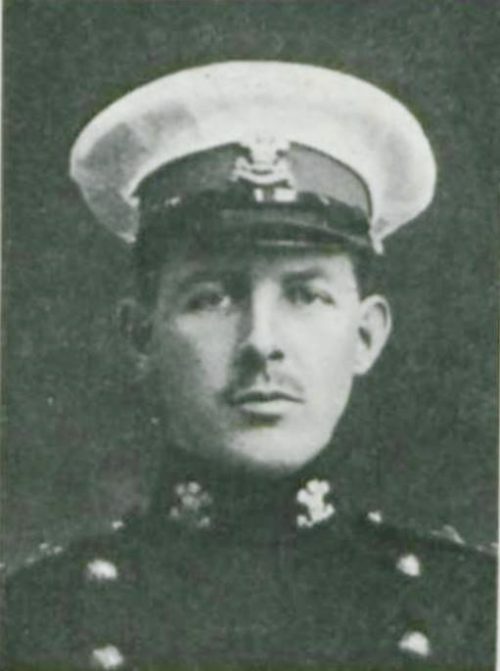 This portrait of Lieutenant Edward Wynne Chapman was published in Bond of Sacrifice, an important source of information for officers who were died within the first year of the war. Chapman was killed during the First Battle of Ypres while in the trenches at Zillebeke on 17 November 1914. The Regiment suffered over fifty casualties that day. There is a service record for Chapman at the National Archives. Other Ranks: Just like for officers, you will need to have a search for a service record, however, many were destroyed in the Blitz. If a soldier served past January 1921 then their record will still be with the Ministry of Defence: Ordering a Service Record from the MOD. If no service record has survived, you will usually be able to uncover information from other sources including medal records. The war diary contains a nominal roll of officers and men still serving with the 3rd Dragoon Guards on 31 October 1916 who landed in France with the Regiment in October 1914. If you have a soldier’s regimental number then you can often work out an approximate enlistment date. Newspapers are also a fantastic resource especially if you’re looking for casualties or a photograph of a soldier. To research both officers and other ranks, you’ll need to sign up to both FindmyPast and Ancestry as they both have different record sets. Fortunately, both have free trials and clicking on the banner below will take you to FindmyPast. There is only one war diary for the 3rd Dragoon Guards which can be downloaded for a small fee by clicking on the blue link below. I have transcribed some entries from November 1914 at the bottom of the page. Notes: Overall a good war diary though entries for 1914 are poor in comparison to other British cavalry regiments. There are a few appendices including a very important nominal roll of officers and men still serving with the Regiment on 31 October 1916 who landed in France with the unit in November 1914. This important document recorded if a soldier went to England and also when they rejoined the regiment. The document is divided by headquarters and squadrons. There is also a detailed account of the operations of the 3rd Dragoon Guards at Arras between 5 and 11 April 1917 which includes a list of the Regiment’s casualties. Another appendix recorded recommendations for gallantry at Arras including citations for the Military Medal and 13272 L-Cpl Harries for the Victoria Cross. There is a regimental history of the Regiment covering the First World War period: The History of the Third (Prince of Wales’s) Dragoon Guards, 1914-1918 by Capt. H. P. Holt. This book was published privately in 1937 and is difficult to find. I looked at a copy at the British Library. 9 November 1914: No.2 Camp: 250 men of A, B, C Squadrons under Major Mason marched dismounted and occupied support trenches at Zillebeke at 7 pm and returned at daybreak. No casualties. 10 November 1914: No.2 Camp: Stood to 5.30 am. At 1 pm moved up dismounted in support of trenches at Zillebeke and moved up in evening near wood in rear of Lord Cavan’s HQ which was on Lane SE of E in Zillebeke; returned to No.2 Camp at 10 pm. Lieutenant Horn wounded by shrapnel in afternoon. 11 November 1914: No.2 Camp: Stood to 5.30 am. Exercise and inspection of horses and equipment, prepared to moved at 12 noon but order for trenches cancelled. Moved up in support of Lord Cavan at Zillebeke but returned 9 pm to No.2 Camp. 12 November 1914: No.2 Camp: Marched early to Witte Poort Farm (No.3 Camp) marched dismounted to wood in rear of Lord Cavan’s HQ at 1 pm in support of his infantry, at 5.30 pm moved into trenches at Zillebeke. 13 November 1914: Trenches at Zillebeke: Attack expected at 4.30 am but there was very heavy shrapnel fire followed by rifle fire at 8.20 am. Lieutenant Talbot reported killed at 9.30 am and maxim guns out of action. Relieved by Household Cavalry and returned to No.3 Camp at 9 pm. Casualties 6 killed, 12 wounded. Total 18. 14 November 1914: Marched to Ben Groenen Jager (No.4 Camp) 3 miles southwest of Ypres at 11.30 am arriving 2 pm and bivouacked in farm. Stood to for 3 hours.